Read MorePro Care Physiotherapy & Athletes’ Injury Center is a multidisciplinary orthopedics rehabilitation clinic in Ottawa committed to one-on-one quality care, specializing in all aspects of your injuries, Physiotherapy, Massage Therapy, Acupuncture in Ottawa etc. Pro Care Physiotherapy offers multidisciplinary services in Ottawa aimed at the effective treatment of sport injuries, as well as all other types of injuries. Our staff is made up of highly qualified professionals that offer various types of physiotherapy to those suffering from anything from acute sport injury to requiring management techniques for chronic pain and disease. Our Ottawa Physiotherapy centre’s main goal is to rehabilitate patients to pre-injury physical activity levels and functional abilities. This means treatment will address common sport injuries, pain, stiffness, muscle weakness, joint flexibility and movement, and post-surgery recovery. Massage therapy offered as part of the Ottawa physio program incorporates various techniques to positively impact physical function of the soft tissues and joints. This type of therapy is also extremely useful in relieving pain, as well as preventing the deterioration of physical function, movement, and mobility. Acupuncture is the ancient practice of piercing of specific parts of the body with very fine, sterile needles. The objective of this treatment is reducing or relieving pain and improving the physical function of the afflicted part of the body. Pro Care Physiotherapy uses Nuraleve Painrelief TM* as a drug-free therapy in cases of chronic pain and chronic migraine. Objectives of this therapy are to reduce or eradicate pain and shorten the duration of the patient’s suffering. The treatment uses recent advances in neuromodulation technology through the application of a small electrical charge to a specific area of the scalp. The resulting stimulation of the brain mitigates the pain associated with migraines, sport injuries, and other chronic pain. Sport and other injuries can cause debilitating stress or change the very fabric of life for some patients; Pro Care Physiotherapy employs a fully trained and experienced Social Worker to help patients cope with such situations. This therapy normally takes the form of individualized support or counselling provided at the request of the patient. Rehabilitation products, when used improperly, can actually do more harm than good in the recuperative process from various sport injuries, as support mechanisms used with physio, or in conjunction with other treatments such as massage therapy and acupuncture. 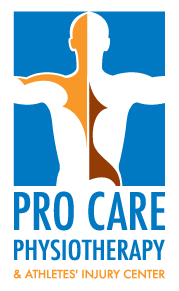 Pro Care is pleased to provide both products appropriate to the various treatments patients undergo, as well as instruction in their proper use and care. In many instances, patients can benefit from two or more of these specialized treatments to help speed recuperation and recovery. Nothing is more important to Pro Care than ensuring the most expedient care directed at alleviating pain, distress, and suffering that results from personal injury. 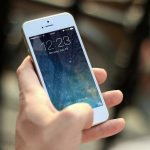 Our professional staff makes use of the state-of-the-art equipment and topical techniques to arrive at a treatment plan specific to each case. Pro Care Physiotherapy & Athletes’ Injury Center offers a wide range of rehabilitation products to help you through your recovery phase. If rehabilitation products are used incorrectly, they may actually be causing more harm than good. Pro Care Physiotherapy offers a full spectrum of physiotherapy services for clients of all ages. Our massage therapists work in conjunction with our physiotherapist to provide you with the best care possible. Acupuncture is used with other forms of physiotherapy to help the patient reach their recovery goals. Pro Care Physiotherapy offers a wide range of rehabilitation products to help you through your recovery phase. If needed by the patient, our social worker can become involved in the provision of one on one counselling. Our sport injury therapy gets athletes back on track, treating injured or inflamed joints, muscles, tendons, ligaments, and more. At Pro Care Physiotherapy, we can properly diagnose and treat your injury while preventing sport injuries in the future. Your health is our highest priority, and for that reason, we strive to provide our patients with top-tier service, making us a committed and effective centre for physiotherapy in Ottawa. The level of dedication that our staff shows in every aspect of their work comes across in our one-to-one sessions; this together with our patients’ testimonies inspire us to grow as a health centre every day. Whether you are in the main city or in the surrounding Ottawa areas, you can trust our physiotherapy centre to improve the state of your condition. In order to provide our level of service, we have succeeded in excelling at a number of aspects, including everything from our gear, to our health professionals, to our mission. The reason for our success is quite simple: every goal that we set is oriented with your well-being in mind. To provide highly effective physiotherapy in Ottawa, we have a team made up of highly skilled and vigorously trained health professionals dedicated to perfecting their practice for your well-being. This continuous drive towards helping you heal is what renders our patients happy. We also have a very strict policy towards making sure that every employee and therapist in our team continues to maintain the highest level of competence and professionalism year after year—so you can rest assured that you are in safe and healing hands. We are always on the lookout for the latest machinery to keep up with the advanced physiotherapy techniques our health professional implement for all our patients. Ensuring that we have up-to-date equipment that provides maximum function without compromising your comfort is what we are all about. This constant focus is one of the many reasons why our physiotherapy service has become distinctly respected in Ottawa. Our advanced and well-equipped center is always open to serving your every physiotherapy need—and our team of professionals is always looking forward to helping you in every possible way. If you are seeking a reliable physiotherapy service in Ottawa, visit us at our clinic and allow us to begin the healing process. We are happy to announce the latest addition to our Health Care Team. Heather Johnston, registered Massage Therapist, brings with her a range of experience treating many types of injuries. Contact us for more details or to book an appointment with Heather! We are pleased to announce that Pro Care Physiotherapy & Athletes' Injury Center is now accepting refugee patients under the Interim Federal Health Program. Give us a call for more information. We are very happy to announce that we now offer direct billing to most insurance companies. Call us to speak to our wonderful staff for more details! A recent study looked at runners suffering from patellofemoral pain syndrome (PFPS) and following a 3-week hip-abductor muscle-strengthening program.